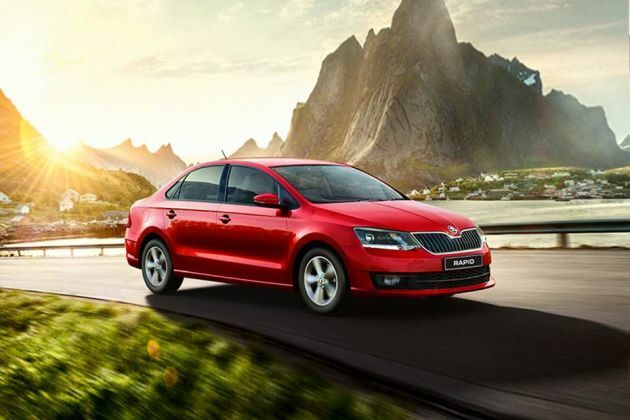 The Skoda Rapid 1.6 MPI AT Ambition is the most affordable petrol automatic iteration of the car. Priced at Rs 10.30 lakh (ex-showroom Delhi as of 5 May, 2017), the Ambition variant is the mid-range option in the variant lineup of the Rapid. Compared to the equivalent manual variant, it commands a premium of around Rs 1.12 lakh. The Rapid received its first major facelift in November 2016, with the new design making the car look more polished and classier. Unlike the base Active grade, on the outside, it gets features like 15-inch alloy wheels, a chrome surround for the radiator grille and fog lights at the front and rear. It also gets electrically folding wing mirrors, which are useful in protecting your parked car from swiping bikers. For safety, like the Active variant, it gets dual front airbags and ABS with EBD as standard. Specific to the AT variant is the inclusion of hill-hold control (HHC) and the electronic stability program (ESP). The model also benefits from the inclusion of rear parking sensors, the child-proof rear window lock function and in the event of a crash, the fuel supply will automatically cut off to reduce the threat of a fire. Enter the cabin and you are welcomed by features like a height adjustable driver seat, automatic climate control and leather around the steering wheel, gear lever and handbrake lever. You even get the 2-DIN Skoda audio system, steering mounted audio controls, AUX/USB connectivity and an SD card slot. The Rapid also has quite a potent heart under its bonnet. Powering the car is a 1.6-litre, 4-cylinder engine that makes 105PS of power and 153Nm of torque. The motor comes paired with a 6-speed automatic gearbox that features a manual mode as well. Skoda claims the Rapid 1.6 MPI AT will deliver a fuel economy of 14.84kmpl, which is just over half a kmpl less than the manual Rapid petrol. The Rapid petrol automatic rivals the likes of the Maruti Ciaz, Honda City, Hyundai Verna and even its own cousin, the Volkswagen Vento.